Yemen is another front that openly exhibits Iran-Saudi Arabia geopolitical rivalry. History has come full circle: Yemen has become to Saudi Arabia what Vietnam was to the United States. How did Yemen get to this point? The World Affairs Council of Austin is pleased to have David Oualaalou (pronounced Walalou, known also as Dr. O) discuss the situation in Yemen and its impact on the Middle East. 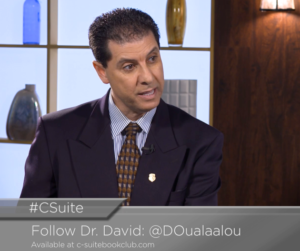 Dr. David Oualaalou is an international geopolitical consultant, global speaker, award winning educator, author, and former international security analyst in Washington DC. 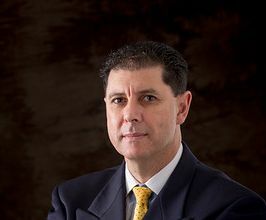 He is also the founder of Global Perspective Consulting headquartered in Dallas, TX. Dr. O’s unique background allows him to provide current and relevant insight on our world’s greatest challenges and issues within critical economic and security areas. His theoretic and practical real-world knowledge of how geopolitics, global security, energy issues, domestic and international business intersect is founded on his experience as a former international security analyst in Washington, D.C., his doctoral studies, and as a military veteran who worked in the field with elite military forces carrying out operations at the behest of U.S. policymakers. Dr. Oualaalou is the author of Beneath the Veil: Fall of the House of Saud(2018), Volatile State: Iran in the Nuclear Age (2018), and The Ambiguous Foreign Policy of the United States toward the Muslim World: More than a Handshake (2016). His editorials have appeared in newspapers and online journals, including The Huffington Post, Al Jazeera, the European Atlantic Council, Middle East & North Africa Forum, and the South China Morning Post in Hong Kong. Some of his articles have been translated into more than ten languages. 2310 San Gabriel Street, Austin, TX, 78705, United States.